*This kit is to remove & install the valve spring with the cylinder head on or off the OHV & OHC petrol or diesel engines. 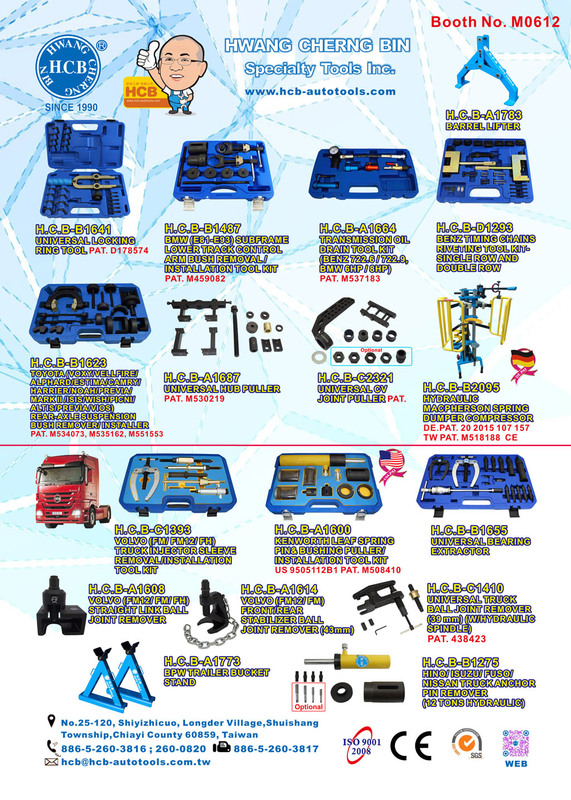 *An ideal tool kit for most foreign & domestic engines. *The multi-point adjustable base of this tool bolted securely to the head while the adjustable lever mechanism pivots form the beam. 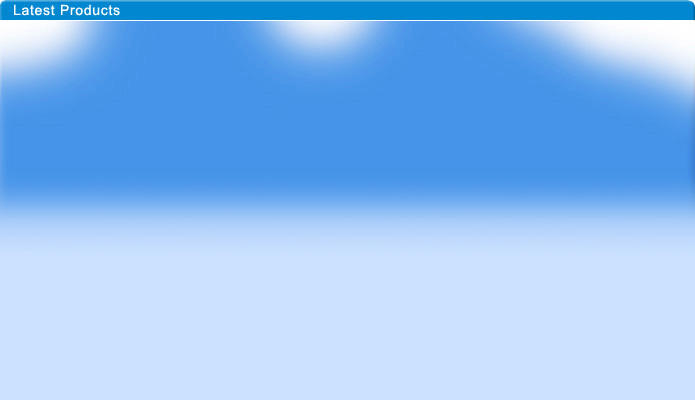 Thus, compress the spring quickly by one hand operation. *Fast removal & installation of the spring retaining keeper. Then, easily accomplished through the large open on both sides of the compressing tube. 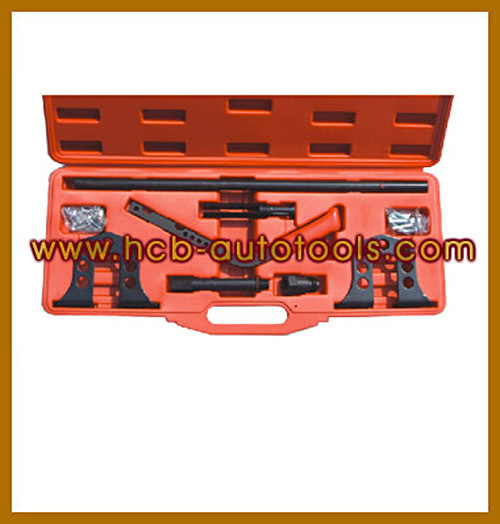 Call for Pricing H.C.B-B1008 UNIVERSAL AXLES WHEEL BEARING REMOVAL/ INSTALLATION TOOL KIT PAT. 201280 USA PAT.